The team at The Innevation Center recently announced their launch of Mentor Hours in January 2016. For February and March Mentor Hours sessions at The Innevation Center, Phillips says the team decided to bring in Rob Mallery of Originate. Rob Mallery is the VP of Talent at the SF-based Software Development/Venture Firm Originate. He brings over 15 years experience as a recruiting expert and entrepreneur within the startup and technology world. For the past 6 years, he has helped build an exceptional team of engineers, designers, and product experts at Originate and helped open offices in LA, NYC, Las Vegas, and Orange County. 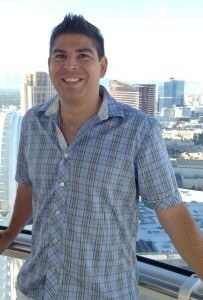 Rob graduated with a Biology degree from UNLV in 1999 and is happy to be back in Las Vegas to help build the local technical and startup ecosystem. Mentor Hours with Rob Mallery will cover questions about team building, company culture, recruiting tech talent, and early-stage hiring. “While these are our selected topics, please come with any questions you may have regarding your small business or startup,” write the team. VegasTech community members interested in Mentor Hours with Mallery can register to attend here.